There has been a lot in the news lately about the effects of Environmental Stresses of various kinds, especially phone towers, EMF, wireless networks and the like (see my article on Environmental Stress – ed.). It seems even to have begun to decimate the population of the bees in North America. This is truly spooky. Other people's hostile energies are also quite a problem. Our own Energy Doctor, Stephen Kane, has just released a new improved version of the incredible Energy Egg Environmental Stress Eliminator, that will get you back in tune in a flash! Environmental Stress is a major source of problems for everyone today. Now you can protect yourself and your health from mobile phones, computers, televisions, microwaves, geopathic stress, other people, 'sha chi' entities, electromagnetic pollution and many other stresses of modern-day life. The human energy field is shaped like an egg. It is being attacked by many forms of natural and man-made environmental stress and other harmful energies 24 hours a day. Your energy field repels and eliminates many of these energies itself. However, using your innate defence mechanisms against harmful environmental energies in this way costs you precious energy you can’t afford to lose. 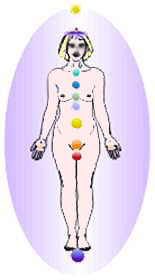 Also some environmental energies remain in your energy field and start to accumulate there. The more this environmental stress builds up in your body, the more it damages the life energies that control your health, wealth, relationships, creativity, awareness or any other area of your life. Frequent exposure to environmental stress is a primary cause of symptoms, diseases and relationship problems. 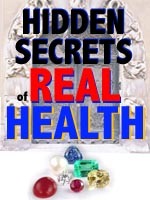 Doctors in Germany discovered, many decades ago, that environmental stress not only causes illness but can also prevent you from responding to treatment. In fact, the original Environmental Stress Eliminator (1982) was developed to help people overcome problems that hadn’t responded to many forms of conventional and alternative treatment. "I feel so much better in this house. I am no longer affected by the television and I don't sweat anymore – so long as I have my Energy Egg with me. Even my pulse is back to normal – it was starting to worry me since it was often over 100 in the mornings. It is wonderful at night – I can now sleep in bed, not on top..."
Environmental stresses are emitted by certain images, buildings, chemicals, shapes, electrical devices, computers, phones, underground water—even some cars generate more stresses than others! The Guardian Energy Egg environmental stress eliminator is the only energy protection device that protects human life energies from all common forms of environmental stress. What Is An Energy Egg? The Guardian Energy Egg is a hand-cut and hand-polished stone egg, charged with over 50 forms of ki (as alcohol can be charged with the form of ki used in homeopathic medicine). The Energy Egg’s shape echoes the shape of the human energy field, enabling the Energy Egg’s ki to benefit your entire energy field. This whole body energy protection is one of the fundamental differences between the Guardian Energy Egg and other energy protection devices, which only influence small areas of the human energy field. The method of charging the Energy Egg with its ki is a unique, proprietary process that has taken over 20 years of intensive research and clinical experience to perfect, allowing the Environmental Stress Eliminator to evolve into its final form, the Energy Egg. This deceptively simple, crystal transmitter emits a unique, protective energy which covers your entire energy field, constantly scanning for new stresses to be eliminated. "I’ve felt a tremendous benefit and am feeling really good. I’m not reacting stressfully to difficult situations and my writing has tremendously improved. My energy is great – I love my life more and more!" Unlike the Guardian Energy Egg, other energy protection devices only protect your energy field from one or two environmental stresses—while, at the same time, usually transmitting additional environmental stresses themselves. This is because they’re designed with dowsing, or with scientific tests that focus only on isolated human functions or energies—such as the damage caused by mobile phones to red blood cells—without awareness of the human energy body as a whole. Such highly-focused tests fail to detect the harm being caused by other forms of environmental stress, or even the same form of stress in other areas of the body. By contrast, the Energy Egg protects your whole body from many forms of environmental stress, and is constantly adapting to new stresses entering your energy field. Another unique feature of the Energy Egg is its ability to eliminate environmental stress already in your body. Environmental stresses that haven’t been grounded out in the past accumulate in your body, replacing the ki (life energy) that should be there. This accumulation of stress is called your environmental stress burden. The Energy Egg not only protects you from incoming environmental stress, but also is the only product that steadily reduces the environmental stress burden you have acquired over the years. You can upgrade the environmental stress elimination power of the Guardian Energy Egg whenever you wish. If you ever notice the energy of any place, object or person affecting you, you can immediately change your Energy Egg’s signal to take this influence into account. "I have much more energy at home after a day at work. I really noticed this after forgetting my Energy Egg on a few separate days. I was much more tired, even though I slept well." An Energy Egg and transmitter sitting quietly at home is also a perfect way to protect children from environmental stresses at school or anywhere else they spend time. The Energy Egg Transmitter is an Original KiTM program contained in a clear quartz base. You simply connect the Energy Egg Transmitter to your body’s energy field through the three main ki channels—known in yoga as the ida, pingala and shushumna— that run the length of your body and beyond (instructions included), then stand your Energy Egg on it. The Energy Egg Transmitter remains permanently connected to your energy field unless it’s re-tuned to someone else, or is physically damaged. This product is so good that it comes with a 12-month money-back guarantee. Read more on the Guardian Energy Egg. This amazing new product offers up to five times as much protection from wifi and other peoples energies. It is the ideal way to recover your energy. We recommend purchasing the Guardian Energy Egg with the Transmitter, because this is the strongest and most convenient option — and the best value! Other Currencies [approx]: GBP£61:50 — Euro €75:00 — AUD$105:00. Your currency will convert automatically from USD on PayPal. The Guardian Energy Egg also works without the Transmitter, but in this case you need to keep it close to your body at all times. Also if you later decide to buy a transmitter, the cost will be higher. Purchased without the Transmitter, the Energy Egg costs $85.00*. The Transmitter purchased separately costs $40.00*. A Guardian Angel home environmental stress eliminator is the most advanced, whole home, space clearing instrument available. These have the same life-enhancing effects on everyone in the space as if they had their own personal Guardian Energy Egg – and more! The Guardian Angel (including base) costs $400:00*. The super-heavy-duty Archangel makes the most potent addition to large houses, apartment blocks, offices, shops, restaurants, practices or any environment of a substantial size or where many people are in and out. These have the same life-enhancing effects on everyone in the space as if they had their own personal Guardian Energy Egg – and more! Other Currencies [approx]: GBP£387:00 — Euro €450:00 — AUD$620:00. Your currency will convert automatically from USD on PayPal. We are so confident you will experience benefits from the Guardian Energy Egg, Guardian Angel, or Archangel, we offer a 12-month money-back guarantee!